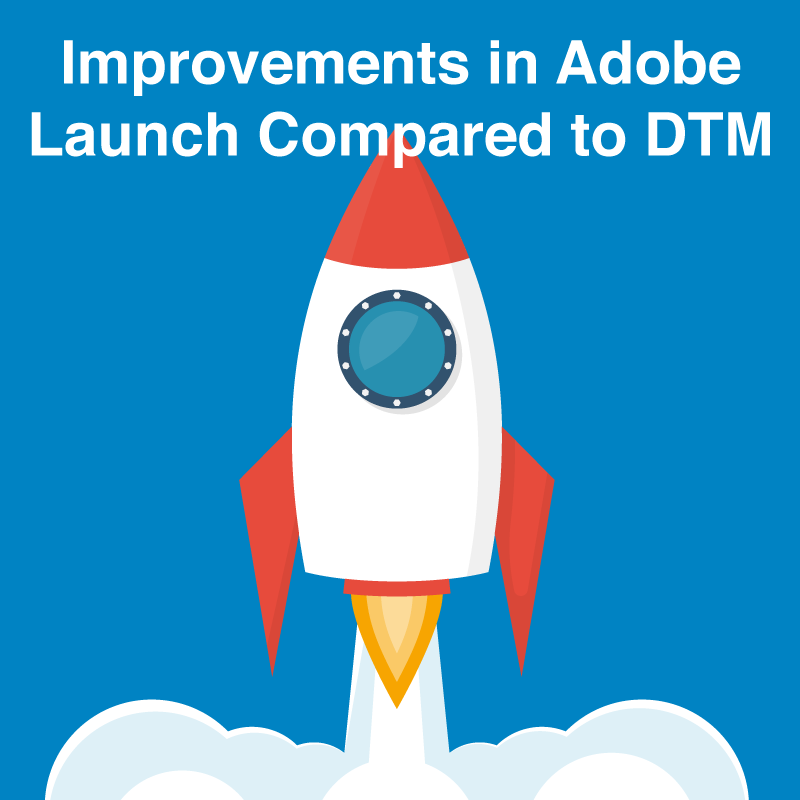 After many years of talking about it, Adobe Launch has finally been released, and with it, comes a plethora of improvements over its predecessor, Adobe Dynamic Tag Manager (DTM). The new release features a simpler UI; granular control over code management and user privileges; a new extension feature; and, of course, a much lighter library. Our Adobe implementation team is very excited for Adobe Launch and here are some key features. Launch’s UI is an improvement over DTM in several ways. First, users can now add eVars above 100 without using the auto-configuration, which was a major limitation of DTM. The rule interface is simplified so that you no longer have multiple tabs for the different types of rules. Now each rule is configured with a trigger that can be set with the same DTM rule types: an event, page load or direct call. Along with that, you are now able to add multiple triggers to the same rule, and the interface also includes an optional “exceptions” section that provide further granularity to your rule configuration. However, you have you option to create as many environments as you need to. Each environment includes a separate script to be placed on your web pages. This alone is a significant benefit because multiple users or teams can now have their own environment to create and tests in. Updates can now exist in individual libraries that are placed in each environment. Although each environment can only have a single library pointed to it at one time, libraries can be set to none if they are not needed. Once a library is ready it can be promoted through your company’s approval process and then published to production. 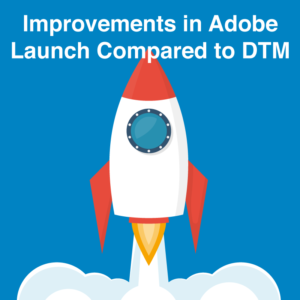 The most significant change revolves around the structure of Adobe Launch, which does not necessarily have a one-to-one relationship with DTM. In DTM we have tools such as Adobe Analytics and Adobe Target. In Adobe Launch we have these same tools, but we call them extensions. In addition to this, Adobe has opened up the market for third-party vendors to create their own extensions that provide additional features. The biggest additions thus far are easy-to-implement marketing pixels. This allows less code-savvy members of your team to implement pixels without having to touch any code. This makes the administration of your tags less time-consuming as you can publish a few tags without worrying about adding any new custom code to your implementation. Page load speed is always a major concern when adding any new analytics code or tags onto your site. Rest assured, Adobe Launch provides a few options for installing it onto your site. There are now two methods for deployment: asynchronous and synchronous. The asynchronous deployment is a great option for websites that prioritize page load speed and efficiency. It allows the Adobe Launch library and rules to be loaded with a single script tag in the head with no page-bottom script required. It is not without limitations, though; until Adobe Target can provide an asynchronous solution you cannot correctly install it through Adobe Launch with this type of installation. The synchronous option is the same method provided by DTM; you will still require a script tag in the head and one at the bottom of the body. In addition to the new asynchronous option, the Adobe Launch library is also approximately 60% lighter and now minimizes the library and any custom code that you are deploying. DTM minifies its own library, but if you want to minify your custom code you will still need to do it yourself. One of the limitations in DTM was that the productString needed to be added through custom code. A welcomed improvement would be to include a field (similar to any other variable or event) to allow us to select a data element to populate the product string. While DTM did support HTML5 video tracking, it did not include a way to track more commonly used embedded videos without developer support. A nice addition will be built-in support for YouTube or any other platform. The staging and approval queue in the workflow is bottlenecked by the fact that only one library can exist in it at once. This could be improved by either giving you the ability to merge libraries or allows multiple libraries to be promoted at once. If you enforce a strict publication process, this can be an issue if you have multiple libraries published in the same timeframe and an issue is introduced to production. Some of these limitations may be addressed through future extensions, but Launch is already a drastic improvement to DTM. 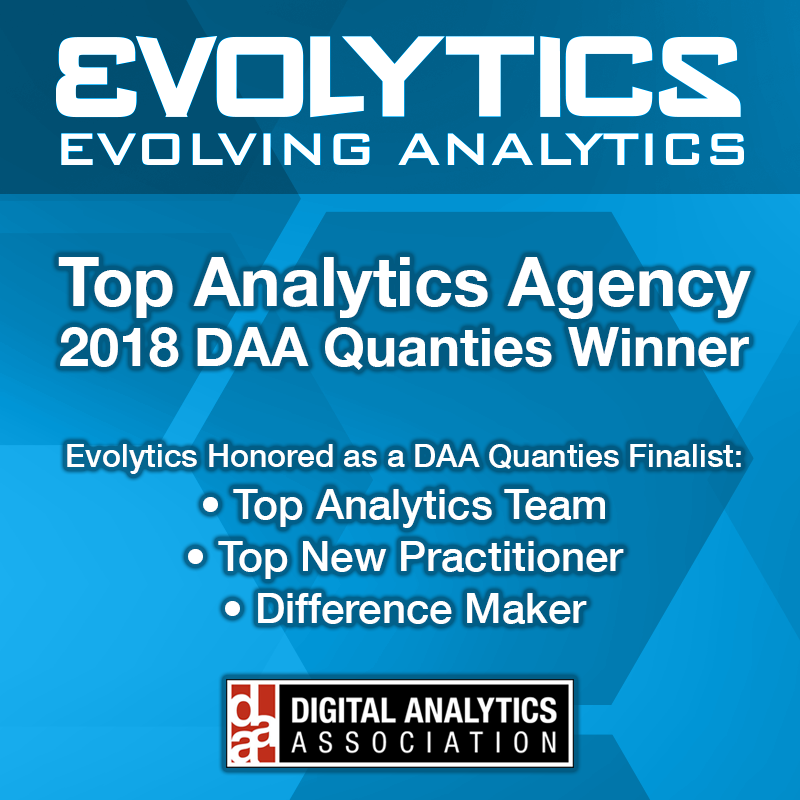 While DTM is still a great tool, Adobe has provided a very competitive tag management system which stands out due to its advanced features, extensibility, clean UI, and the low price point. Brandon Martinez is a member of the Data Collection team at Evolytics who earned his Bachelor of Science in Information and Computer Science from Park University. Brandon supports clients such as Kroger with his knowledge in Adobe Analytics implementation, Adobe Launch tag management, and data auditing.